SEPAC stands for Special Education Parent Advisory Council. 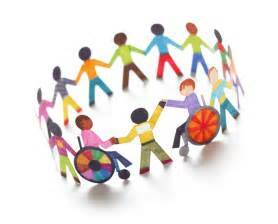 The SEPAC is comprised of individuals involved in, or concerned with, the education of students with disabilities. Membership is open to parents of students with disabilities, teachers, administrators, individuals with disabilities, and members of the community. Send us your name and email (on the right hand side of any page) and you will be put on our mailing list and become a member! To read more from the Commonwealth, please click on the link below. How do I know if PAC is right for me? Does your child currently receive special education services? Do you want to meet other parents of children with special needs? Do you want to learn more about your child’s educational rights? If you answered “yes” to any of these questions then please come and join us. Still not sure? You can always Contact Us! Why do we need a Parents Advisory Council (PAC)? According to the Massachusetts Regulations Governing Special Education every school district must maintain a PAC. Functions and Responsibilities of the PAC: The committee shall advise the school district on matters concerning the unmet needs of students with disabilities, comment on improvement plans including school support plans, local compliance with state and federal laws pertaining to the education of students with disabilities, comment on applications for federal and state funds and serve as advocates in partnership with parents for students with disabilities to ensure that they receive the entitlements provided to them under state and federal laws. To read more from this document, please click on the link below. Educating the Millis Community Because Every Child Deserves a Champion! To Build a caring and Supportive Community that can help enable parents of children with IEPs or 504s to become the best advocates for their child’s education as they can be! This web site is not affiliated with the Millis Public Schools other than being the web based representation of the Millis Public Schools Special Education Parent Advisory Council. All information herein is offered by the volunteer representatives of the SEPAC unless otherwise noted. No responsibility is taken for information on sites linked to herein. All content on this website is simply that, content on a website and should be interpreted as such. Copyright © 2017, Millis SEPAC, All Rights Reserved.